Air King has built a very powerful non-oscillating pedestal fan at an affordable cost. It moves 7400 CFM of air, while the 1/4 HP motor pulls only 2.4 amps. A very powerful fan, this model is the perfect addition to any gym, warehouse, or automotive garage. We've never seen such a heavy duty fan that combines the performance and durability of this unit, but is yet still so affordable! 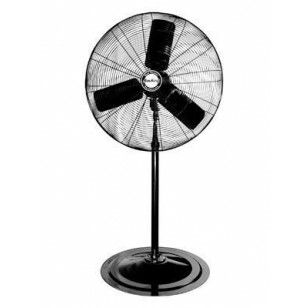 You can more fans of this style in our pedestal fans department. 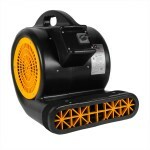 We recommend purchasing several of these units, or several of our air moving carpet dryers to cool down rooms quickly. Multiple units not only drive down the per unit cost, but they also cool down large areas quicker. 1/4 horsepower motor offers a range of 4980 CFM to 7400 CFM of air movement. Motor pulls 2.4 amps under its highest setting, so you can plug multiple units into the same outlet. Adjustable height stand goes from 64" to 90" tall. Heavy duty powder coated steel protects the fan in all environments. 3 speed, 1/4 HP, 120 volt, 1 phase, totally enclosed, ball bearing, permanently lubricated, permanent split capacitor. 3 year warranty on the motor, and 1 year on all remaining parts. 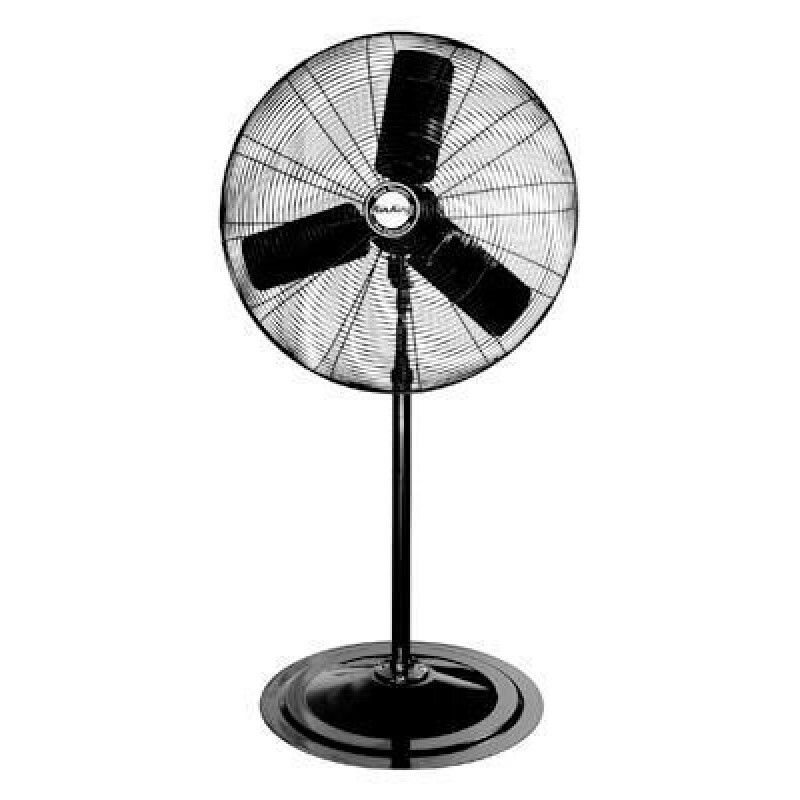 This is a review for the Air King Heavy Duty Non-Oscillating 30 inch Pedestal Fan.